Google Fiber, the super-fast, fiber optic-based Internet and TV service that launched in Kansas City last year and Austin, Texas, last week, now has a third city on its steadily growing target list: Provo, Utah. Google announced the move in a corporate blog post just a short while ago. 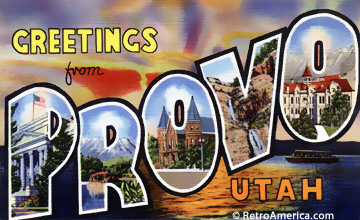 As part of the deal, Google will buy out a city-owned fiber optic network called iProvo. Described as “troubled” in the press release put out by the Provo municipal government, the network had been on the block for about 18 months. Provo apparently issued about $39 million in bond debt to pay for it, but has never been able to run iProvo in a financially sustainable way. The result is that the network has been a bit of a financial albatross around the neck of local taxpayers. Selling out to Google appears to have taken care of that problem, while at the same time Google has promised to finish building it out and to upgrade it to the 100 Megabit 1 Gigabit per second speeds that have been promised in Kansas City and Austin. But as I said to the people of Austin, be patient, Provo. These things take time.